Greek Easter is right around the corner which means Greeks are doing one of two things: attending a church service or preparing food for Sunday’s table. A few necessities for Sunday’s feast include lamb, Tsoureki and eggs dyed crimson red. Most of these items have been prepared the same way for generations though I sometimes wonder where my great grandparents living in the tiniest of villages could find those little red egg dye packets available at most Greek supermarkets today. Then I found that eggs can be dyed crimson red with some yellow onion skins and a little vinegar. Question answered. 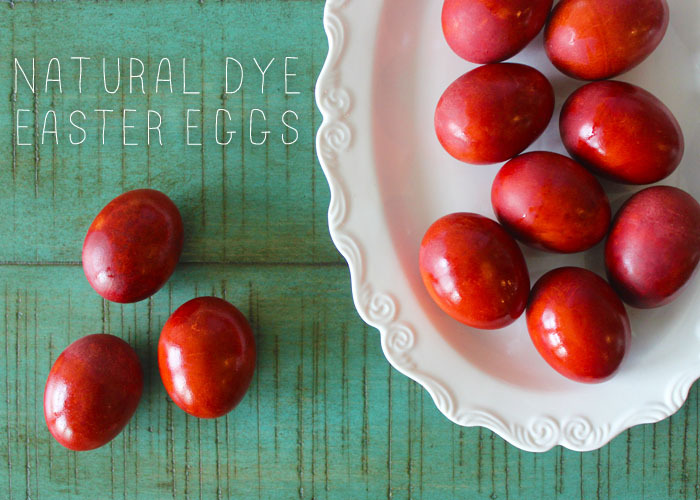 This method for dyeing eggs is simple, non-staining, completely natural and the only way I’ll be dyeing Easter eggs from now on. 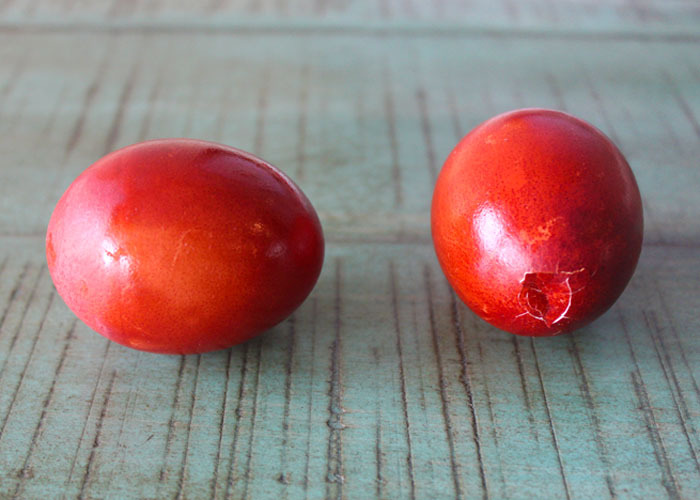 Non-Greeks: Did you know that a game involving the cracking of these eggs is a Greek Easter tradition? That’s right. Playing with your food isn’t always a no no. You can read more about it on The Pappas Post. 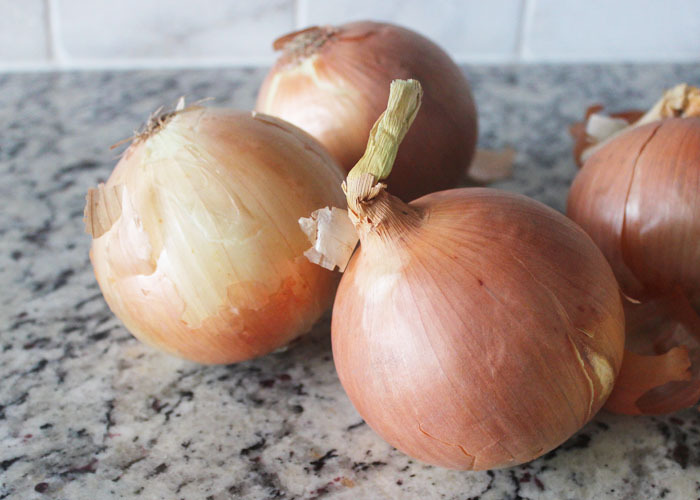 Place onion skins in a medium sized pot with water and vinegar. Press down onion skins so that they are completely submerged. Place a heavy plate on top of the onion skins if necessary to keep them under water. Boil for 30 minutes. Allow mixture to cool before removing onion skins. Once onion skins are removed, add eggs to pot and boil to cook as you normally would. Allow to sit in pot for several hours or overnight until desired color is achieved. For a glossy finish, dyed eggs can be polished using a paper towel and olive oil or vegetable oil.